I have enjoyed welcoming Spring so much that I had to do a little table decorating. It is so fun to play with Burlap, I just can’t get enough of it. 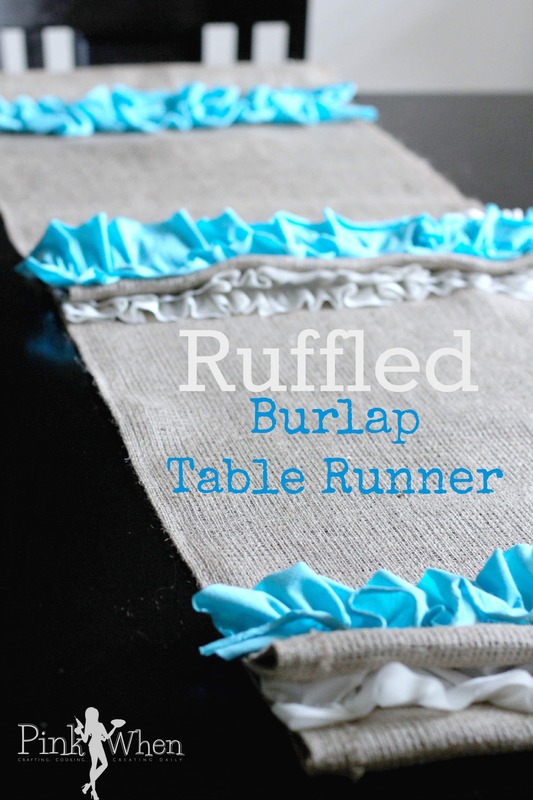 I had to brighten my breakfast room up a little more than usual, so I created this fun Burlap Spring Ruffled Table Runner. Do you like to welcome Spring into the home? I love to decorate (and have a feisty 8-year-old who will remind me to do it!) 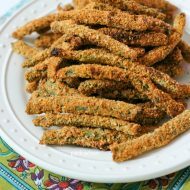 It’s so nice to open the windows and usher sunshine and fresh air back in after a cold winter. I love the look of the ruffles and the burlap. 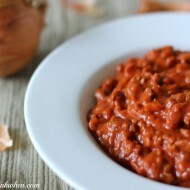 It just brings such a nice pop of color to our dark table. I have had this extra blue and white fabric sitting around for a while, and I love it when I can take something I already have and put it to good use. It’s like getting something for free! Fabric Pieces cut to size. 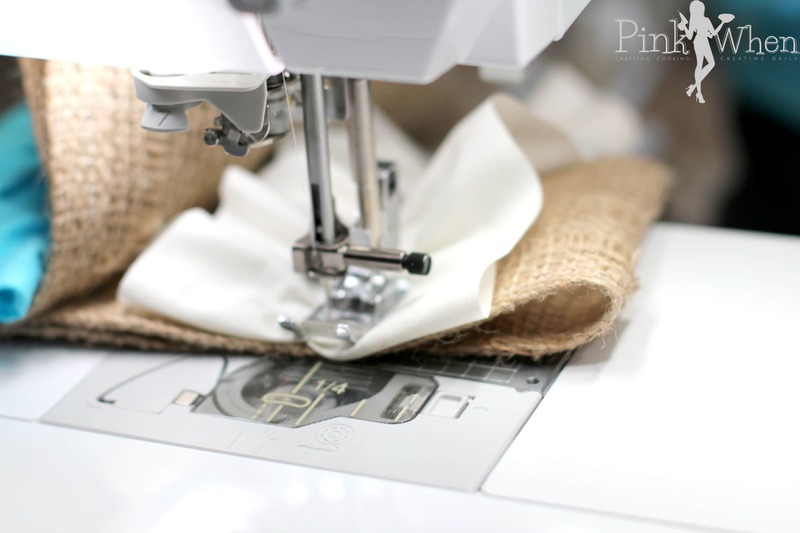 Step 2: Take your fabric pieces and start ruffling them with your sewing machine. I didn’t “finish” the ends, as I wanted to have more of a worn and rugged look to the ruffles. To make these pieces, I cut the material used roughly about 2 times the length I needed and then began ruffling with my sewing machine. Step 3: Once you have all of your fabric pieces ruffled, sew them to the ends of your runner. I added a few throughout the runner, leaving spaces for the burlap. 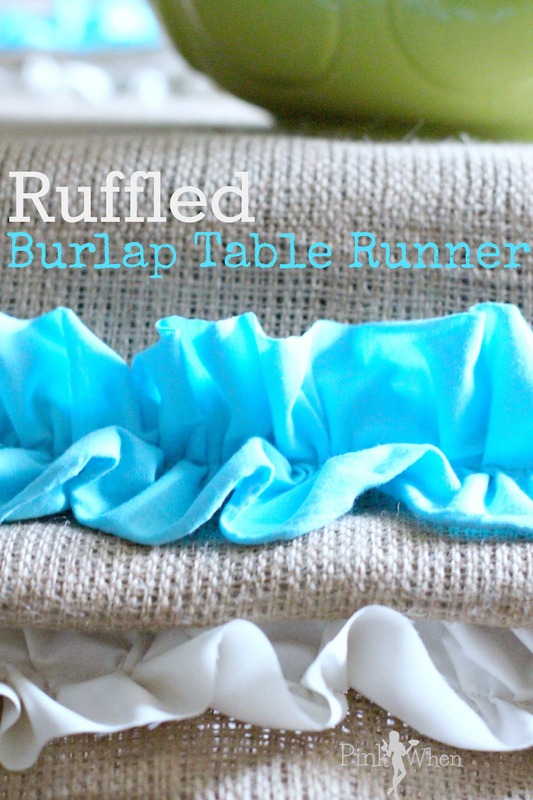 Step 4: Add your new runner to the table and decorate! This is such a cool runner, I really love the way it turned out. I haven’t shared a burlap project in a while, so it was time for me to add one into the queue. I love Spring, and this is the perfect little addition to my table. Do you decorate for Spring? I love to add fun pops of color here and there to brighten the spaces up a bit. 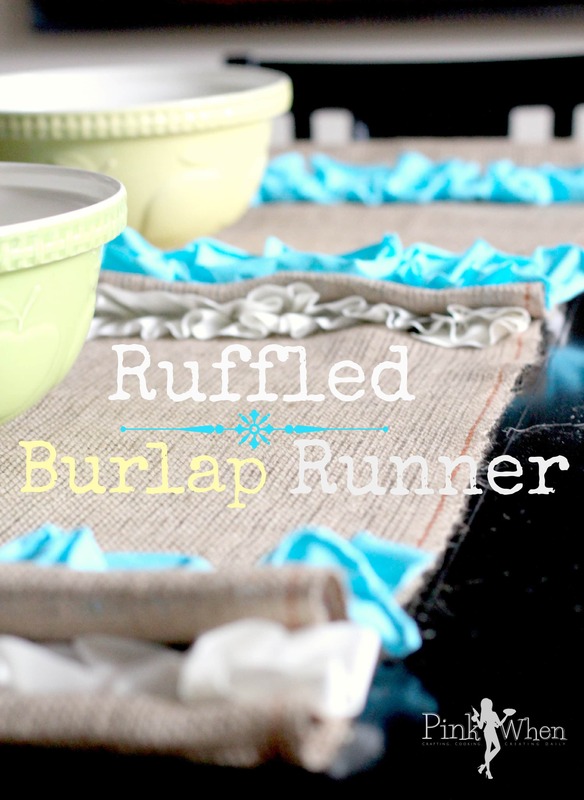 Brighten up your spot and give this easy Burlap Spring Ruffled Table Runner a try. You might also like this burlap and chevron wreath. Or maybe how to decorate with these twine eggs. This is so pretty and just screams spring! Love the pops of color along the runner. Pinned! I have this open on my browser – I’ve been meaning to comment all day. It’s really beautiful. I LOVE the colors.